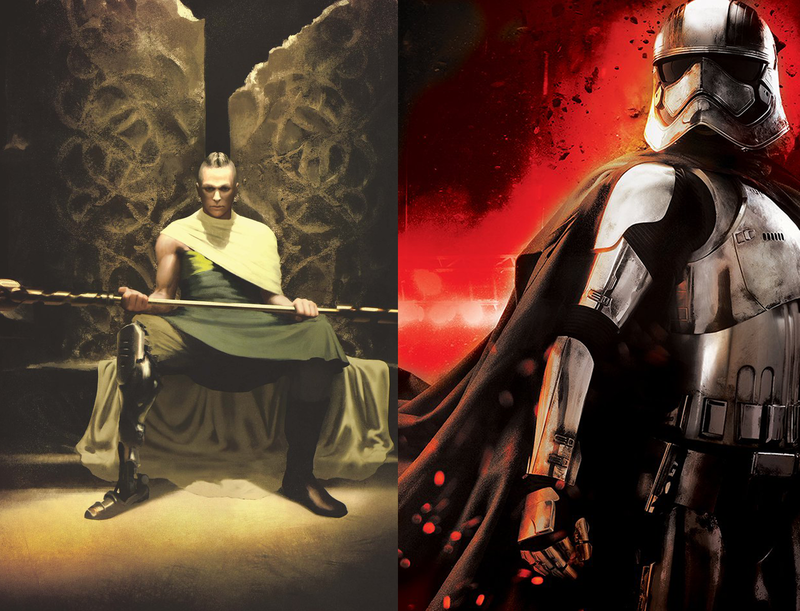 The question is, of course, who are these three new characters and what is their relation to Phasma? The last poster is especially intriguing. "One of the most cunning and merciless officers of the First Order, Captain Phasma commands the favor of her superiors, the respect of her peers, and the terror of her enemies. But for all her renown, Phasma remains as virtually unknown as the impassive expression on her gleaming chrome helmet. Now, an adversary is bent on unearthing her mysterious origins—and exposing a secret she guards as zealously and ruthlessly as she serves her masters." Star Wars: Phasma hits shelves on September 1st.